Your Annual Reminder That in the Debate Between AWD and Winter Tires, A Brain Wins. Complaining about all that damn snow and cold! *Or* Complaining that all that damn snow and cold isn’t here! To the first point, I’m sorry. Also, you should probably move someplace else where there is more [snow/warmth] and stop complaining so much about the damn weather. First question - Do you live someplace that says you need winter tires, like in Quebec Province, Canada? Second Question - Is there a road sign posted that says you need them? Answer - Yes, you need winter tires. Lets back up for a minute here and explain what I mean by “winter” or “snow” tire. Studded winter tires - Winter compound rubber that stays pliable in extreme cold temperatures, deep grooves and large tread blocks, many horizontal and or vertical sipes and most importantly metal studs that stick out like little metal fingernails and bite into hard snow and ice. A top tier studded snow tire is the best possible tire for heavy winter conditions...however...studs beat the crap out of the road and are illegal in some places and in parts of the year. Studless winter tires - Same as above but without the studs, tire magicians [scientists] have made these as good or BETTER than studded tires and as a bonus they don’t have the downsides of metal claws of death digging into the road. Mountain snowflake tires-That little snowflake on the mountain means that the tire meets a set standard of winter tire traction worthiness from the RMA/RAC (Rubber magicians of the US and Canada) and although its typically found exclusively on dedicated “winter tires” it can also be found on a handful of all terrain tires as well. They don’t have to be dedicated winter tires, but they perform better than the minimum standard to be accepted as winter tires. Mud and Snow tires - M + S. This is purely a tread depth/pattern thing and isn’t evaluated by anyone for use in either mud or snow. These are what “all season” tires are. They have deeper tread depth, channels to clear water, mud and snow and a rubber compound thats been formulated to work in a wider range of temperatures. While this does mean an all season tire is more versatile it does have limitations on what it can handle a the extremes of its design parameters. An all season tire is equally unsuitable in cold winter conditions, for example as it would be for a day of hot laps at the track compared to dedicated tires. You will undoubtedly see a lot of “winter tire” comparisons this snowy season, and a good deal of them will be “summer vs winter tires”. They will probably take place on a fake ski slope or on an ice rink and show how you how feeble summer tires are and how superior winter tires are. This is done for illustration purposes because there is an large, obvious difference in performance between the two. Its also garbage, because anyone who think that summer tires (not all season) are suitable for anything other than summer conditions is an idiot and totally deserves everything they have coming to them when they get out on the road. SUMMER TIRES SHOULD NOT BE USED IN WINTER CONDITIONS. Any comparison test that uses summer tires as their baseline should be disregarded. This is about as stupid as doing a comparison on which sunscreens will keep you warmest during a blizzard. But I have AWD/4WD, I’m Good Right? Look, AWD/4WD is a wonderful thing it really is and you shouldn’t dismiss it out of hand. Now I know its easy to hate on AWD and 4WD as being a kind of crutch, but they do have advantages for starting, and even turning and stopping IF you understand your AWD system and know how to best employ it. Typically speaking its easier to keep something moving than get it moving right? Its the same with traction, once your tires slip they are more likely to KEEP slipping. If your tires have 30% of their normal dry road traction on snow when they aren’t slipping, for example, they would only have about 10% once they do. Keeping a tire from slipping then is an important component in staying in the limits of grip. In a front wheel drive vehicle, for example, the tires are being asked to deliver engine power and turn the vehicle, splitting the limited traction available into two paths which increases the likelihood that you will overload the limited traction and go from a static friction state, were the grip is stronger to a dynamic friction state...slipping...where your tires aren’t being fully effective. In an AWD vehicle, half that drive force is being diverted to a different set of wheels meaning the chance of overpowering the front tires is lessened. If the turn is uphill it also means that the weight transferred away from the front tires will be mitigated through increased traction at the rear. A similar effect happens with slowing down, by using engine braking an all wheel drive system will naturally balance the load to all tires minimizing the chance of a destabilizing slip and increasing the effectiveness of engine braking on loose surfaces. If you have a decent amount of car control AWD also has the ability to alter the type of slip condition you might encounter as well, for example if you go into a corner and you are understeering, you can get on the brakes lightly and apply power to induce a yaw and get neutral or go to oversteer. Alternatively if you are oversteering you can usually apply power to correct this to a limited degree as the fronts will apply a small amount of force to bring the car back to neutral, even in a slip condition. “AWD doesn’t help you turn or stop!” I hear you shout. First I swear I just...never mind. Second, correct. It will not change the maximum adhesion of the tire to the road surface. You will stop shorter and grip harder with dedicated winter tires and your AWD system will be more effective in every way. The bottom line - AWD prevents you from getting stuck more often and has some limited winter weather maneuverability advantages. That’s not a bad thing, is it? Traction and stability control systems, like abs, are reactive means of regaining static grip. A good traction management solution is a good way to keep physics from getting out of hand in a slid and its somewhat effective in helping keep static grip but its basically a bandaid on a larger problem. Its also worth noting that some traction control systems may make things worse, cutting power when you need to spin the tires to clear the treads or to power through deep snow, for example. These systems are a net benefit to the winter drive in most cases and do generally aid in keeping a car pointed straight and moving forward. What it comes down to, however, is that your 4 tires are the only thing connecting the car to the road and there is no AWD/4WD or traction management system that can change the grip of those tires. However, to argue about which traction solution is death on wheels and which one is magic pixie dust is to miss the point in the same way that arguing about whether shirt or pants is best. Being aware of how snow works, how a car works IN snow and how people flip their tops when cars meet snow is the single best thing you can do to increase your odds of safely traversing snow. Team O’Neil Rally school founder Tim O’Neil says it best in my opinion. The best thing you can do to increase your winter safety: Be a good driver. Test your traction in a safe location respective of your conditions (do donuts in a parking lot). know your vehicles limits of traction and avoid slopes and streets that will challenge them. Assume people on the road will do stupid things and try to anticipate what you can do...when they do. Be prepared to be stuck and how to get out. Keep your head on a swivel, and try to anticipate other drivers moves. Tips like this and many more common sense “use your brain” stuff will contribute more to your safe travel in snow and ice than any number of rubber snowflakes or Torque Active Drive Automatic 4 with AllTraction technology [TADA 4All™]. Being a good driver is more than car control and it means knowing when you are taking unnecessary risk. Being present and analyzing your driving behavior as well as keeping an eye on other people’s driving is going to be the single most important factor in driving safely in winter conditions. If traveling safely in winter conditions is a priority for you then work your way up the scale as high as you can afford. Do you NEED AWD? No. Do you NEED winter tires? Maybe not. SHOULD I BUY WINTER TIRES? Yes, If you live someplace where it gets a decent amount of snow and cold and you can afford to...why not? It only makes you safer and more capable. 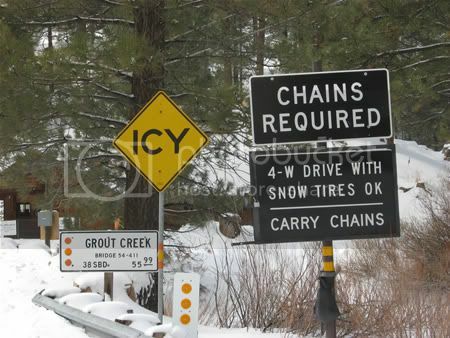 This goes doubly true if you aren’t a very good winter driver. 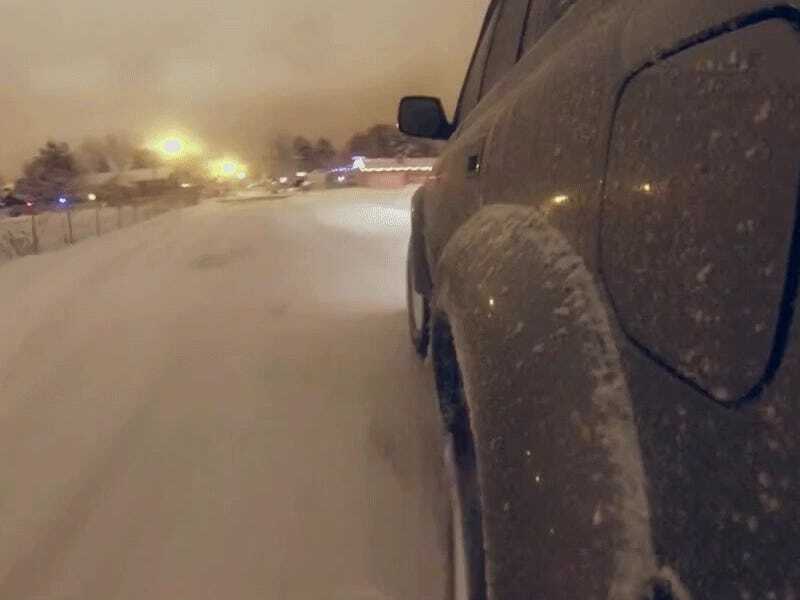 Pro tip: If you think you are a great winter driver, you probably aren’t. What can I do or buy to be a better winter driver? *Note* This is a significantly reworked repost from this time last year, thanks for indulging me.